It's a sad fact that there are no words that can reassure sensitive pets they are safe and sound when stormy weather rolls through, bringing with it scary bursts of lightening and thunder. But fortunately, the comforting language of love requires no explanation. In the midst of a powerful thunderstorm that struck Southern California over the weekend, one frightened cat found an unlikely ally to help ride out the booms and flashes closing in around them. 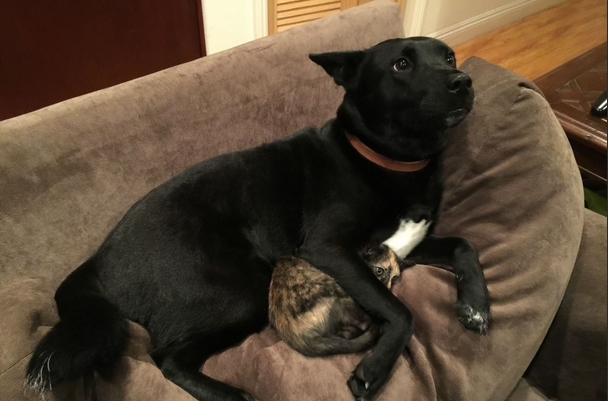 "Came home to my roommates dog protecting my kitten from the loud thunder and lightning outside," Reddit user YungDemon wrote. 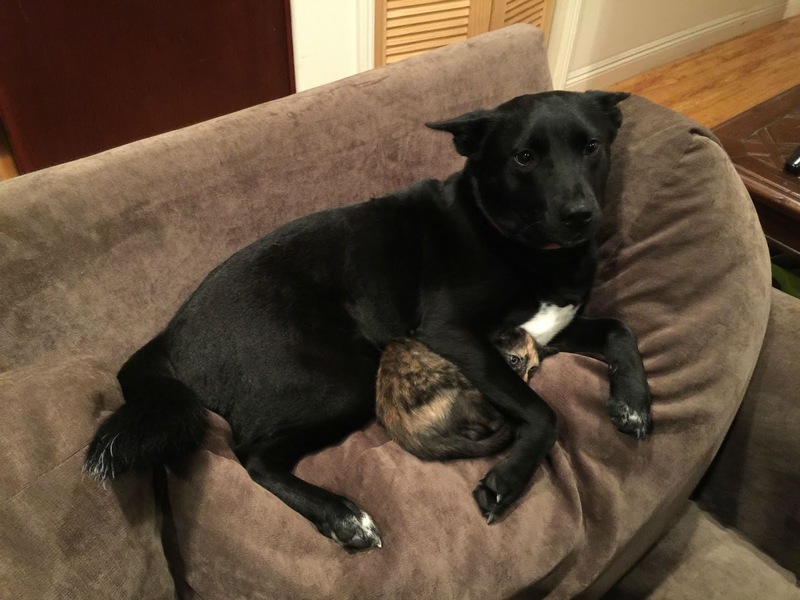 Despite seeming somewhat scared himself, the dog made sure the cat felt cozy beneath his comforting paw.It's not uncommon for dogs and cats to feel anxious during violent weather, which is when they need their friends the most. Brush up on ways to keep your pets calm and comfortable during even the scariest storms. 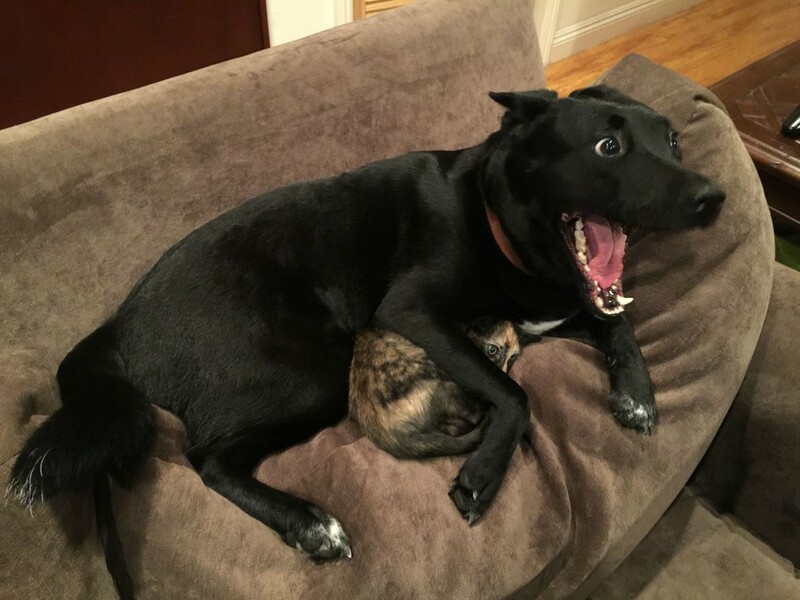 Responses to "Sweetheart Dog Protects A Kitten During A Lightning Storm"
So adorable, he's actually scared too.